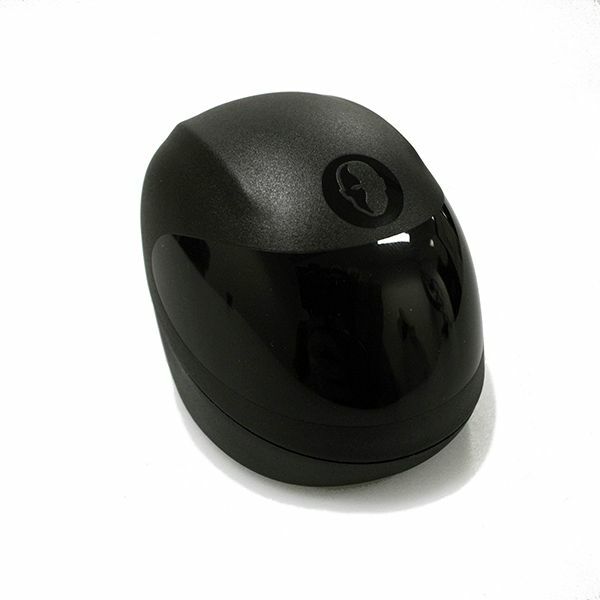 For a few years we've sold a HeadCase that fits all plastic HeadBlade Sport and ATX models. 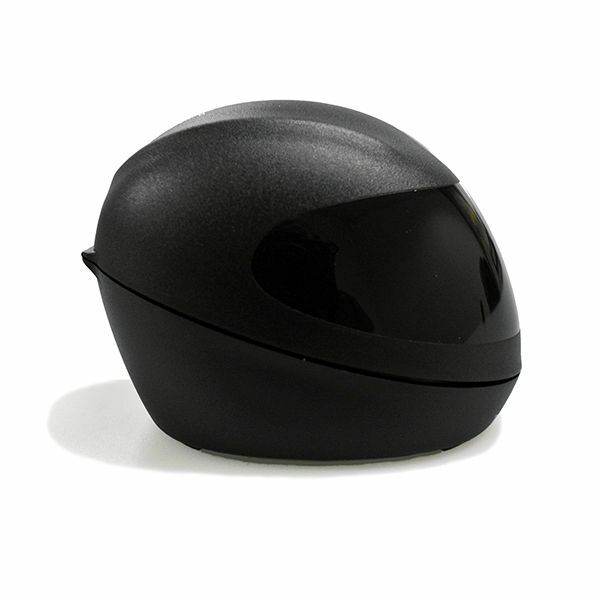 It's nice and conservative; designed after sunglass cases. 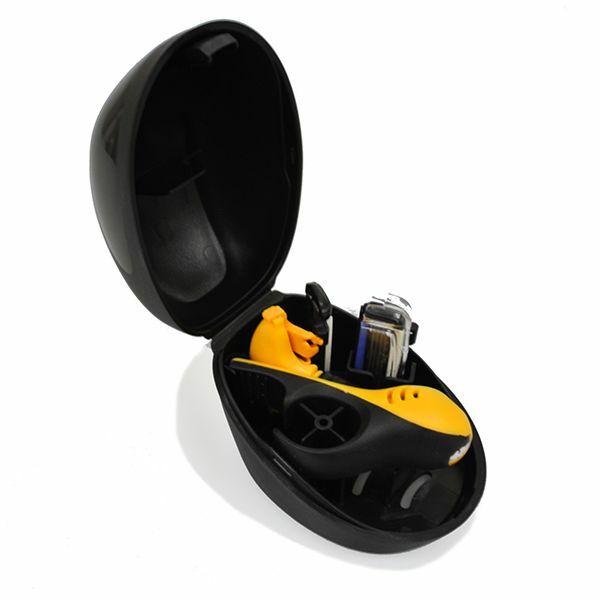 It's a hard plastic clam shell. Nothing too glamorous but surely very functional. Honestly the MOTO does also fit in the standard HeadCase but it deserves something more radical. Something REALLY cool. Maybe, NO, not "maybe," it had to be motocross inspired!! Like a helmet!! No, not "like" a helmet, it HAD to be a helmet. So here you go. 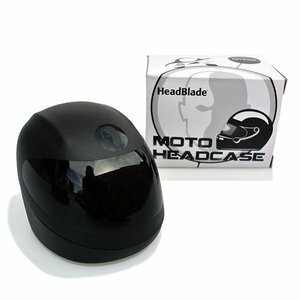 Your own MOTO HeadCase. Please ride responsibly and don't drink and shave.